Vote forGreen Island, QLDTop Island Destinations Which are Australia's must-visit destinations? You help us decide. Popular for its combination of easy accessibility, natural beauty, and sheer convenience, Green Island sits a relatively short distance off Cairns' coast and offers an excellent taste of the reef experience for those short on time. If your itinerary is limited or you're not wanting to invest the often-pricey amount of coin to head to the Outer Reef, there are plenty of worthy and enjoyable reasons to pay a visit and explore the environs and surrounding waters of Green Island. A physically small-sized island relative to its high amount of visitor numbers, Green Island is located right in the heart of the Great Barrier Reef and – despite its tiny scale – remains one of the most popular destinations for travellers in the entire region due to its impressive beauty combined with ease of access from the mainland. Green Island is a coral cay fringed by reef and famous internet-wide for two main highlights: its high number of sea turtles and its iconic SeaWalker helmet diving experience and the exploits of local photo-bombing Parrotfish, Gavin. While the water quality is not quite comparable with that of the Outer Great Barrier Reef, Green Island's snorkelling and other water-based opportunities are still superb and more than sufficient, and there's a consistent effort made by the island and its tour operators to make accessing the sights of the reef as family-friendly as possible. Semi-submersible rides are a favourite among those with kids, providing a clear look at the fish and turtles that call the surrounding waters home, while glass-bottom boat roads are also a viable sightseeing alternative. The snorkelling on offer is also perfect for beginners, and most tour options for Green Island also include snorkel hire packages, making it an ideal and budget-conscious option for introducing the little ones to this highly enjoyable act of marine exploration. The island itself is kept very clean while still being modern, which is impressive considering the sheer volume of tourists who make the short trip over from Cairns each year. The rainforest landscape on the coral cay is great for exploring, as there is a range of well-formed tracks that take visitors on a path directly through the rainforest. Amenities on the island also warrant a mention, as it's been developed and modernised over the years to ensure travellers won't go lacking. There is a resort, souvenir and convenient stores, public showers and lockers, and several restaurants. This makes it a viable place to spend both a full day or two days, should one choose to stay overnight. Considering that all it takes is a scenic 45-minute cruise across the Coral Sea from Cairns to reach Green Island, if you're in Cairns and looking for a taste of the reef without having to over-commit money-wise – or if you've got kids along for the ride – then it makes for one of the best choices for a Cairns experience in all but the busiest periods of the year. Looking to pay a visit to Green Island but not sure what to do? Here are some of its most essential experiences. What's new on Green Island? Premier local operator Big Cat Green Island Cruises has launched a brand new glass-bottom boat that can seat up to 50 passengers to view the marine life of Green Island. A new menu was launched by Green Island Resort's talented executive chef, allowing guests to enjoy some upmarket, quality reef-inspired dining while on-island. 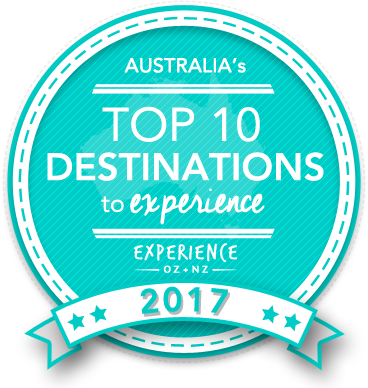 Is Green Island Australia's Top Island Destination to Experience for 2017? Vote now for the chance to WIN an epic trip to one of Australia's top destinations!